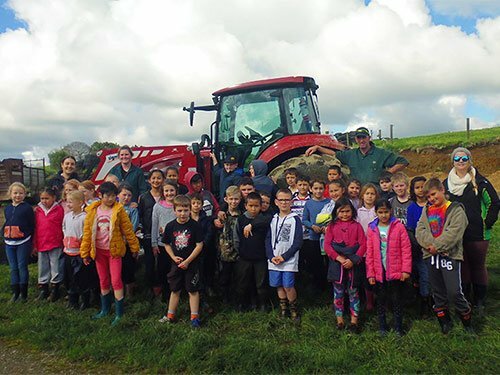 Lisa and Hamish Lile have hosted primary school children on their Otorohanga farm eight times over the last few years through DairyNZ’s Find a Farmer programme. 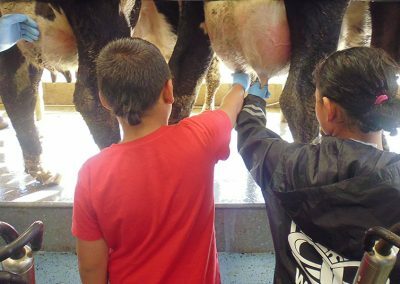 The Liles are passionate about teaching children the value of dairy farming and showing them the enjoyment they gain from the farming lifestyle and the care that goes into looking after their cows, land and people. 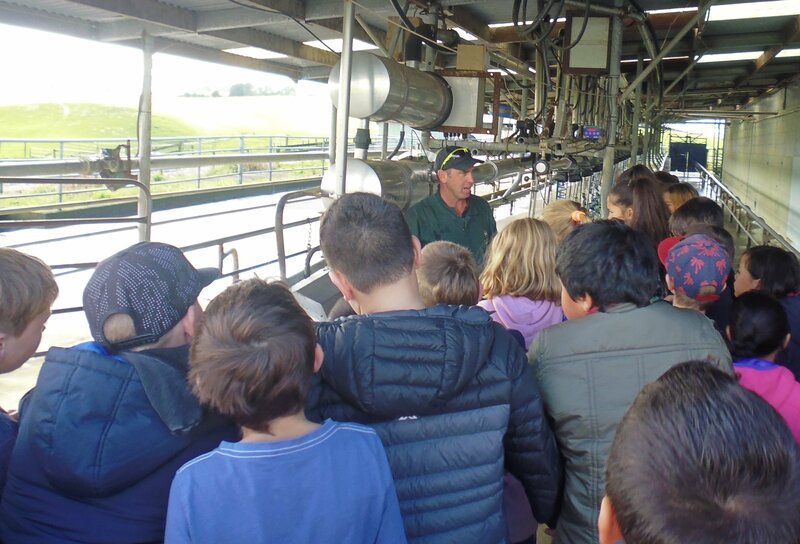 Find a Farmer is part of DairyNZ’s education programme and is designed to connect schools with local dairy farmers by giving them the opportunity to visit a farm. 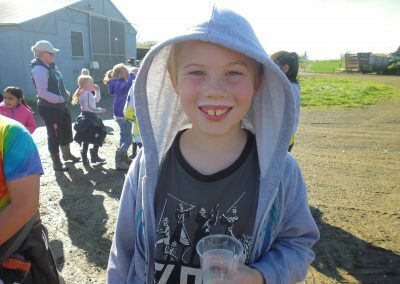 Children get to take what they have learned in the classroom through DairyNZ’s in-school education programme and see it unfold during a real farm experience. 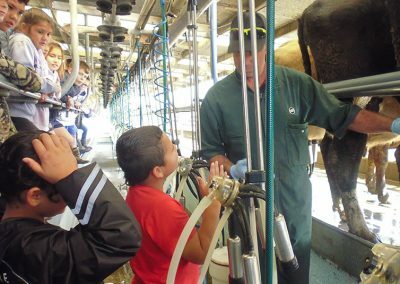 The Liles recently hosted a herd of curious Otorohanga South School children, who got to see and touch the cows and taste fresh milk. Even in the rural South Waikato town, the teacher said only about one quarter of the children had been on a farm and the class had enjoyed delving into the topic prior to their visit. 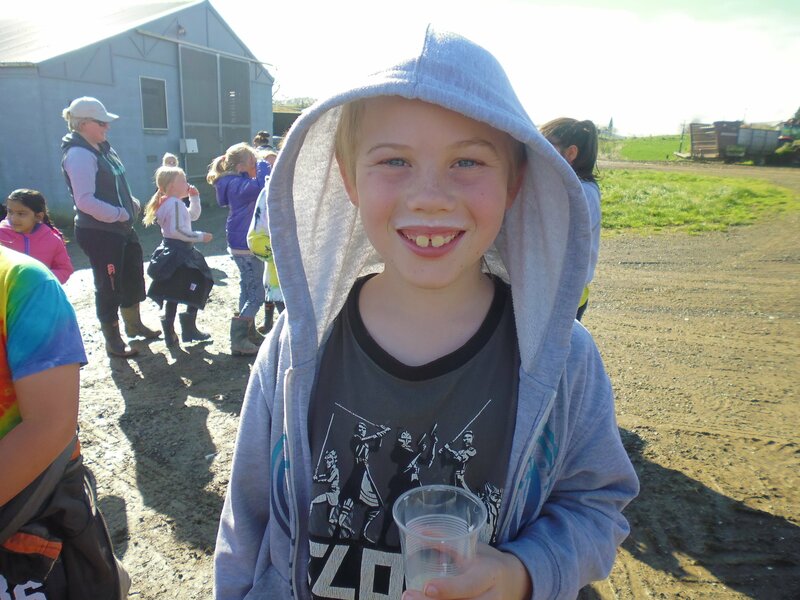 “The children loved the farm visit and have been buzzing ever since,” says Otorohanga South School teacher Laura Rumbles. “We were lucky with the weather during and our farmers were amazing,” she says. Around 18 months ago, the Liles hosted a group of Te Awamutu Intermediate students with learning difficulties. The teachers said it was the best thing they had ever done with them, bringing them out and being involved with them on the farm,” says Lisa. The Liles believe that farm visits play a crucial part in shaping the public’s understanding of dairy farming. 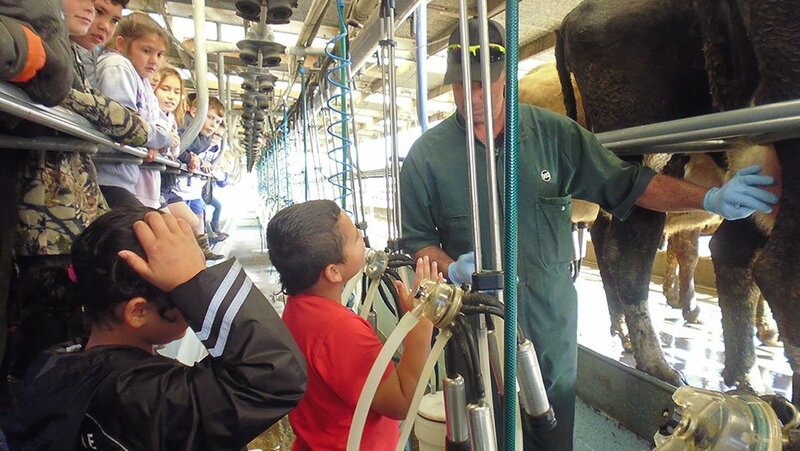 If you are interested in hosting a school visit on your dairy farm, register at dairynz.co.nz/find-a-farmer. Schools can sign up to DairyNZ’s Find a Farmer programme at rosieeducation.co.nz/find-a-farmer.